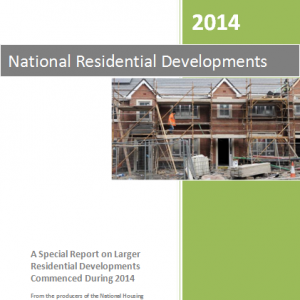 Featuring over 260 Residential Developments commenced during 2014, the National Residential Developments Report is an essential sales and planning tool for Building Companies, Construction Suppliers and Professionals who are active in the Irish Residential Developments Construction Sector. The National Residential Developments Report is brought to you by www.link2plans.com the producers of the National Construction Housing Index (NCHI). 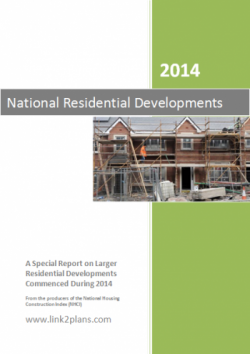 The National Residential Developments Report features projects across all regions and counties in the Republic of Ireland. www.link2plans.com is a gateway to every Planning Application at every different stage, from every County in the South of Ireland. Our information is compiled and researched by our research team and published in real-time via our website and weekly report. Since our formation, Building Contractors, Construction Suppliers, Trades and Construction Professionals have come to rely on our data as a means to keep up-to-date with new and ongoing developments in the Irish Construction Sector. Our reliable reports and website data help companies identify viable tender opportunities which ultimately leads to new business. While we cover construction projects from all sectors, our speciality has been the collation and distribution of Residential Self Build and Development Commencements. © 2019 National Housing Construction Index. All Rights Reserved.